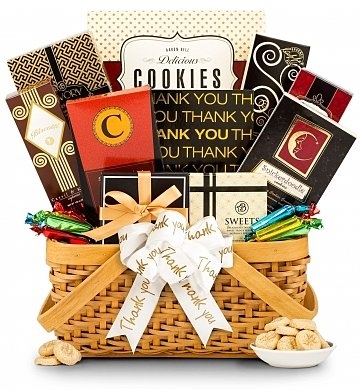 Thank your clients and friends with this Thank You gift basket bursting with delicious treats. A beautiful handled fabric keepsake basket. Decorated with a free "Thank You" ribbon.